I love using architectural pieces in my home and this is just gorgeous. 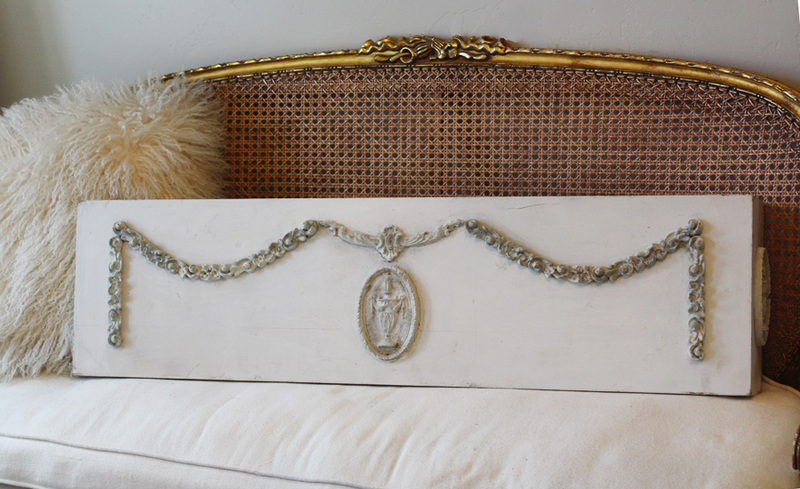 It is an antique French mantel shelf. This once hung over a fireplace. 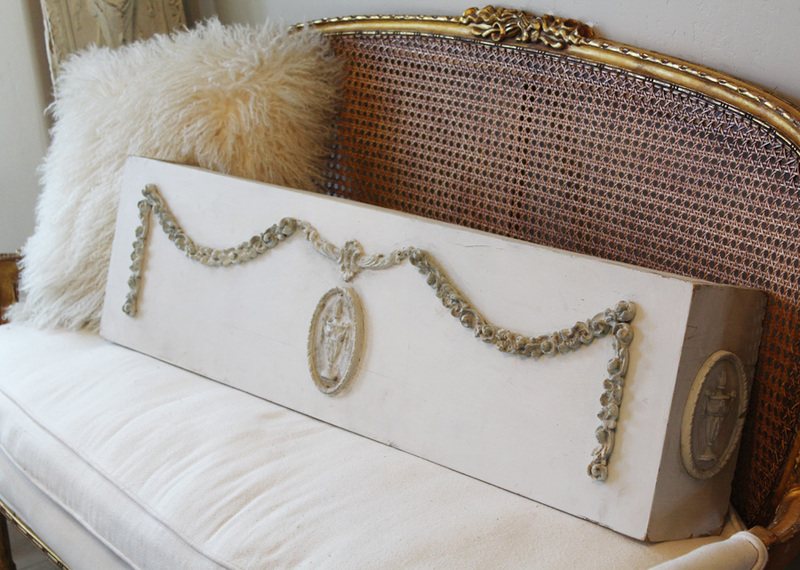 It is perfect to use as a shelf hanging on the wall to display your collections upon, or used over a window as a fabulous valance box. 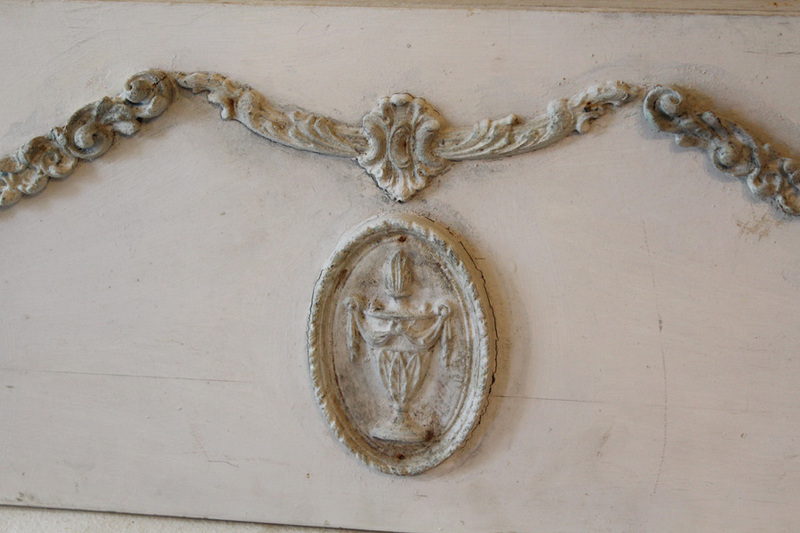 The beautiful barbola detail is painted in a dove gray with the original paint. The medallion is only on the right sides of this shelf as the left side was up against a wall originally. This is from my personal collection and I have adored it for many moons.